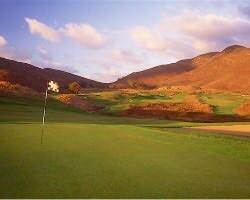 Golf Zoo's Blog: Auld Course now Salt Creek G.C. Auld Course now Salt Creek G.C. The Auld Course in San Diego has undergone an ownership change and from all reports golfers will see an immediate positive change in the facility. The new ownership is strongly committed to upgrading the course and facility conditions, including adding GPS to all carts, renovated bunkering and improved turf conditions on both fairways and green. Located in Chula Vista, in close proximity to downtown San Diego, you definitely have the feel of being on a links layout. If you can't get to Ireland or Scotland, hit Salt Creek instead for a golf and visual experience not often available. Located at the foothills of Mt. Miguel, the links are bordered by acres of natural wetlands and protected habitat reserves. With five sets of tees, generous width fairways and ample run-up space, Salt Creek is both playable and very enjoyable for players of all abilities. The practice facilities are among the best in all of San Diego County. We're certain you'll find Salt Creek a golfing, visual and aesthetic experience. See you on the links! The Auld Course in San Diego is absoultely beautiful. This is my first visit to GolfZoo.com and I have totally bookmarked it and will visit again. You have some amazing connections to various golf vacation packages.